Year(s) 4 DIGIT Valid range January 1895 to Mar 2019 . Enter year of the starting month. U.S. Climate Division dataset is obtained from National Centers for Environmental Information (NCEI). Data is provisional and may be subject to correction by NCEI at a later date! How to read file used in plot. Skip to state below for definition of US climate division. 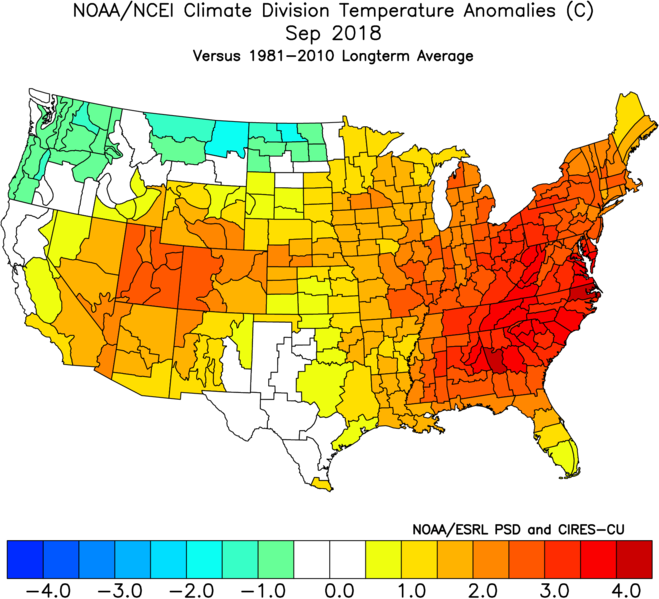 NCEI's Climate Division Webpage. Includes references and related documentation. Individual state maps of the climate divisions (with counties). 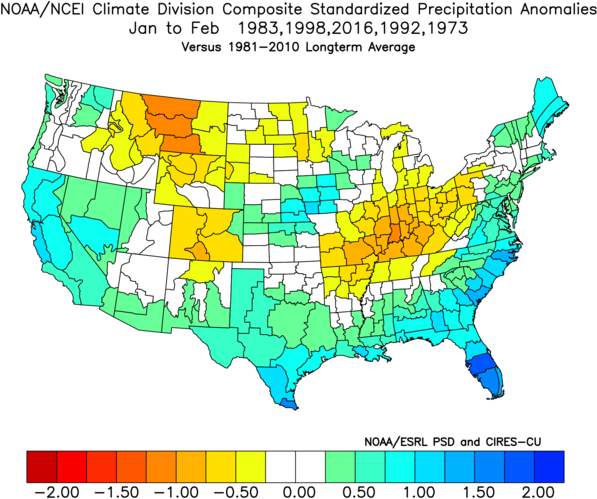 U.S. State averaged temperature and precipitation climatologies. Correlate atmosphere ocean timeseries with climate division data. Beta version of correlation page calculates correlations from 1895. Atmospheric and Ocean Time series (SOI, PNA, etc.). Get timeseries from climate division dataset and other datasets. Plot maps and time series at one climate division (from NCEI).